Making its debut into the competitive crossover sector is the new Ford Ecosport – and it’s a cracking car. The vehicle manages to combine flexibility and SUV space with fuel efficiency and practicality. It’s a small car aimed at the likes of the excellent Nissan Juke and the Peugeot 2008 and it’s certainly an interestingly styled car. The Ecosport looks rugged enough and there’s a choice of three very good engines from launch. They include the 1.5 litre TDCI diesel unit with 89bhp, a 1.5litre petrol version with 111bhp and a 1.0 litre EcoBoost petrol engine which produces 123bhp – this is the first SUV to come with such a small engine. Potential buyers shouldn’t worry about this small engine because it’s an award winner and a strong performer which should return around 53mpg while the diesel unit will return 61mpg. Those are good economy figures and to help sales, Ford has equipped its Ecosport with its SYNC system which allows for voice control of apps on smart phones, including the music player Spotify. 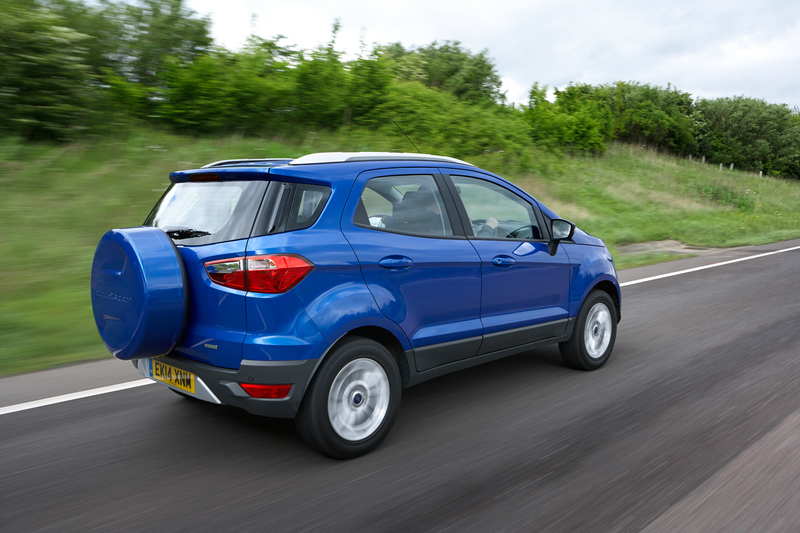 The practical aspect sees the Ford Ecosport coming with a boot that is bigger than many medium-sized family cars and there are 20 storage spaces in the cabin too. The designers have also ensured that the Ecosport is a rugged performer with lots of small car agility. The Ford Ecosport is being promoted as an urban SUV and though it’s new to our shores, it was developed in South America and was launched 10 years ago. After selling more than 770,000 units Ford engineers have reinvented the SUV for sale in markets around the world which are becoming increasingly lucrative for SUVs. Ford believes that sales of SUVs will increase by 22% in the next four years and for smaller SUVs such as the Ecosport, the market will grow by a whopping 90%. For those who aren’t so impressed with the Ford Ecosport offering, the incredible Ford Edge which will be a flagship for the Blue Oval is heading to the shores and will help reinvent the crossover segment and establish Ford as a major player. This entry was posted in Car Leasing, Cars, Crossover Cars, New Cars and tagged EcoSport, ford, Ford EcoSport, Ford Fiesta, lease the Ford Ecosport by Steve Lumley. Bookmark the permalink.